This paper describes an adaptive learning system based on mobile phone email to support the study of Japanese Kanji. 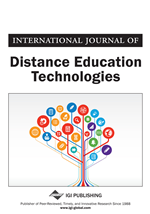 In this study, the main emphasis is on using the adaptive learning to resolve one common problem of the mobile-based email or SMS language learning systems. To achieve this goal, the authors main efforts focus on three aspects: sending the contents to a learner following his or her interests, adjusting the difficulty level of the tests to suit the learner’s proficiency level, and adapting the system to his or her learning style. Additionally, this system has already been evaluated by the learners and the results show that most of them benefited from the system and would like to continue using it. Thanks to the low cost and the widespread use of mobile-based email or SMS, a considerable amount of research has been done in regards to their use in language learning systems (we call them “MESLL” systems). For example, Levy and Kennedy (2008) have developed an SMS system in Australia. It helps the Italian beginners to learn Italian vocabulary by sending a short message containing some words, idioms, definitions and example sentences to the learners at a certain time every day. Cavus and Ibrahin (2009) also developed a system to help undergraduate students to learn technical English language words at the Near East University in Northern Cyprus. In Japan, Thomton and Houser (2005) created a similar system using mobile-based email to promote the students’ English vocabulary learning. In addition, many systems using mobile phone email or SMS have been developed in the other directions (Cheung, 2008; Seppälä & Alamäki, 2003; Stone, Briggs, & Smith, 2002). The results of all these studies indicate that the students prefer the mobile-based email or SMS functions and that they wish to continue using such systems.